I’d always imagined that a Stormtrooper’s lot was a hard one. Endless patrols beyond the Dune Sea hunting down pesky Rebels; and for what thanks! 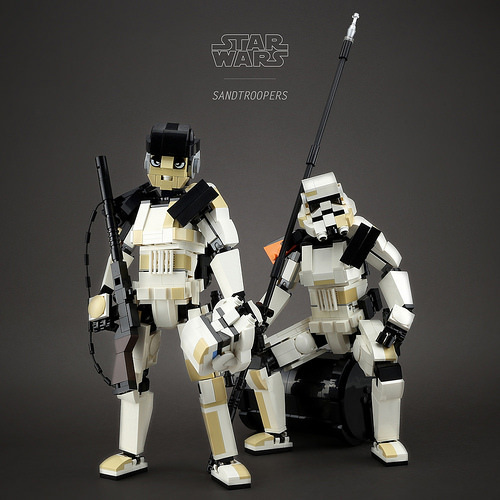 These LEGO Sandtroopers by LEGO 7 go some way to humanising the Empire’s faceless heavies. Built with dirty and distressed body armour and posed reminiscently of soldiers from real-world conflicts, I absolutely buy into their battle-weary plight. It’s a genuinely touching human tribute to one of Star War’s most recognisable bad guys.